Determined, sleepy bee prepares for a busy day with a fresh cup of coffee. Week 7 of my 52-week drawing challenge. I’m playing around with giving these a motivational title. The title for this one, Bee Determined, required a little bit of mental gymnastics. I was already done with the inking when my wife came up with the idea of adding motivational titles. Hopefully, next week’s bee illustration will have a more convincing motivational theme! 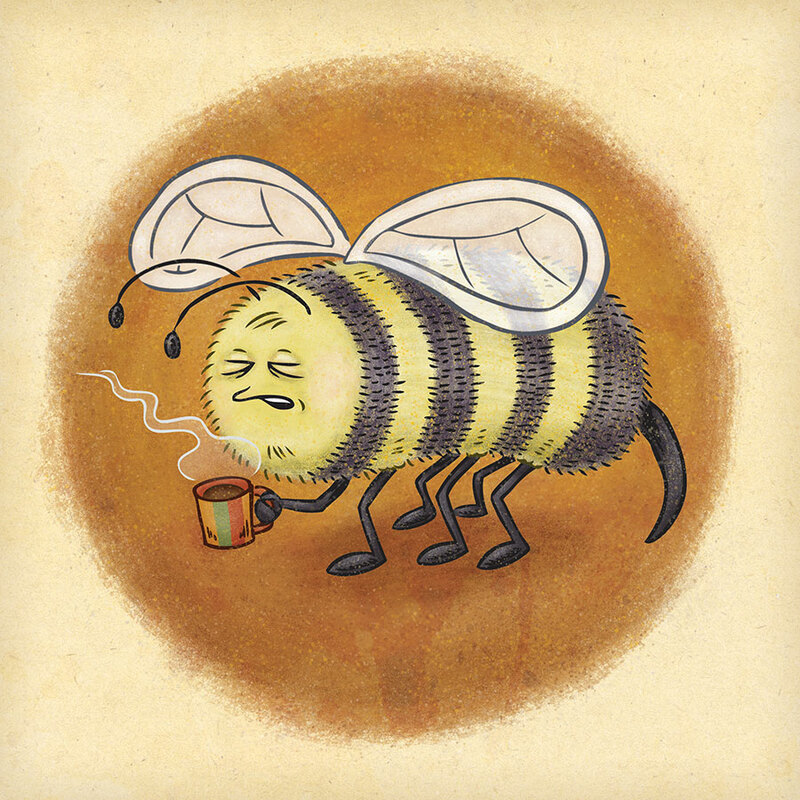 *Fun Fact: While the coffee mug is modeled after the one my wife uses, the puffy-eyed expression on the bee is totally me pretty much every morning! The post Bee Determined appeared first on Scott DuBar Illustration.